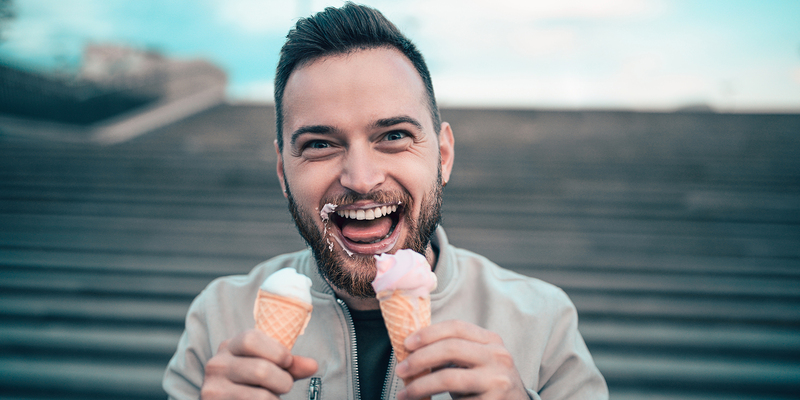 Helmed as the Super Bowl of fashion, the Met Gala in New York City officially kicks off the Metropolitan Museum’s latest fashion exhibit with a huge red carpet event, always the first Monday of May. 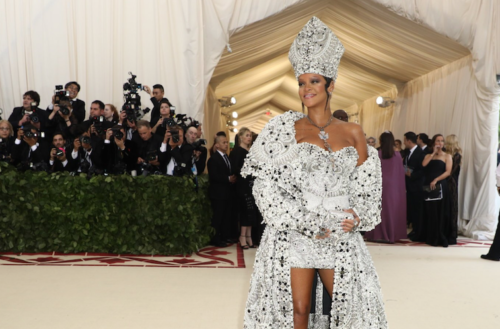 The Met Gala 2018 stayed true to form, serving some of the most jaw-dropping, eyebrow-arching and occasionally gasp-inducing looks you’ve ever seen. 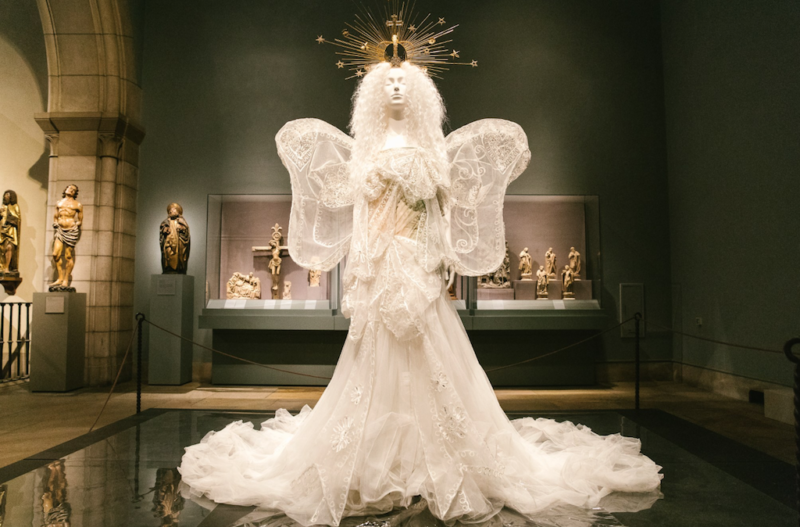 A complete departure from last year’s theme, which was “Rei Kawakubo/Comme des Garçons: Art of the In-Between,” the Met Gala 2018 theme was “Heavenly Bodies: Fashion and the Catholic Imagination,” an homage to religion and how it sparks creativity in design. There are about 150 ensembles on display in the exhibit, which features designs from designers like Coco Chanel and John Galliano. This year’s exhibition is also extra special to museum-goers. The Metropolitan Museum will feature papal garb, on loan from the Sistine Chapel sacristy and never seen outside the Vatican, along with other designers’ creations as part of the display. 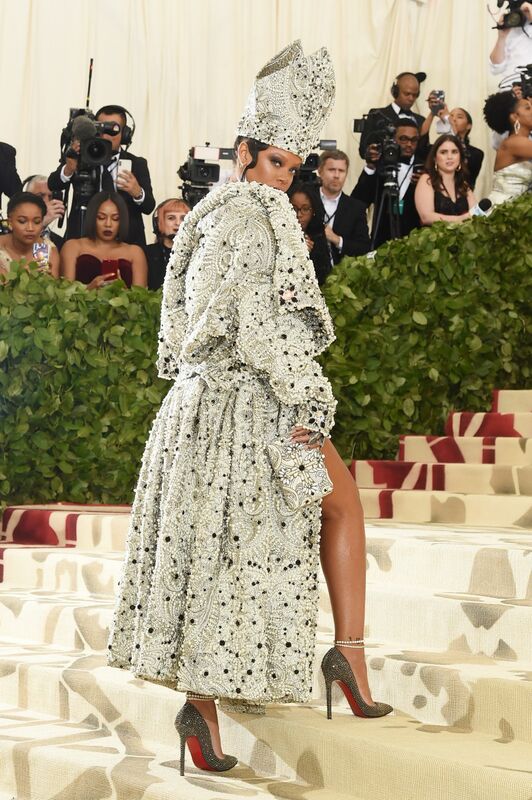 Always bring her A-game to the red carpet, Rihanna, one of the night’s co-hosts along with Donatella Versace, didn’t disappoint her fans, donning a dazzling Margiela Haute Couture ensemble. With the religion-inspired theme, many celebrities stepped up their fashion game, opting for lace, crosses and veils. Gentlemen showed up and impressed us with their “Heavenly Bodies” interpretations as well. Jared Leto, a red carpet regular, dazzled with a head-to-toe creation from Gucci. 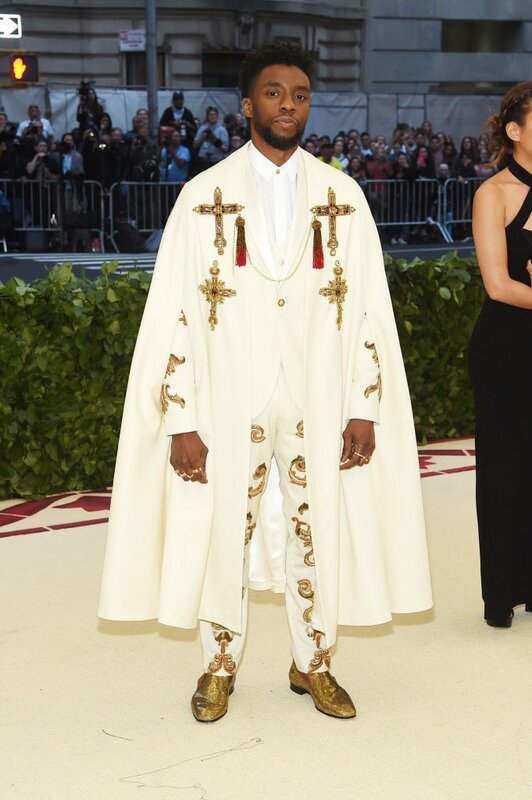 But it was Chadwick Boseman — Black Panther himself — who stole the show this year with a custom-made outfit serving Wakanda realness on the red carpet. Do you have a favorite look from the Met Gala 2018? Sound off in the comments below.